NEW YORK (VIP-NEWS) — In the first half of the year, U.S. music revenues shrunk 4.9%, to $3.2 billion, down from the $3.35 billion that the industry tallied in the first half of 2013, according to the RIAA`s mid-year report. Within that, digital music revenue declined slightly, by half a percentage point, to $2.2 billion, down to $2.203 from $2.214 billion in the first half of 2013. Subscription revenue jumped 23.2%, to $371.4 million from $301.4 million; ad-supported streaming jumped 56.5% to $164.7 million from $105.2 million. The RIAA estimated that paid subscription services averaged 7.8 million subscribers in the first six months of the year, up from an average of 5.5 million subscribers in the first half of 2013. Download sales of albums and tracks fell 11.8% to nearly $1.3 million from $1.47 billion. In other digital revenue streams, SoundExchange distribution grew to $323.4 million, a jump of $21.4 from the $266.5 million, while synchronization royalties fell 10.5% to $88 million, down from $98.5 million. 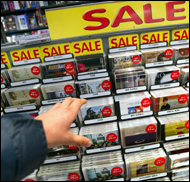 Moving over to physical formats, CD sales fell 19.1% to $715.6 million from $994.1 million. But on the plus side, vinyl grew by 41% to $6.5 million, up from $4.8 million. Overall, revenue breaks out to digital accounting for 68% of U.S. revenue with 41 percentages points of that coming from downloads and 27 percentages points coming from streaming; physical 28%, synchronization 3% and ringtones 1%. For the first time, the RIAA has also provided an overall market volume for wholesale. Typically, the RIAA numbers add up the value of units for each album by that album`s list price, not the wholesale price that the labels receive when they ship the albums to retailers. But converting their data to wholesale values for downloads and the physical formats, RIAA estimates the U.S. music marketplace at $2.2 billion, down from $2.3 million at mid-year 2013.